What is Citrix Provisioning Server? 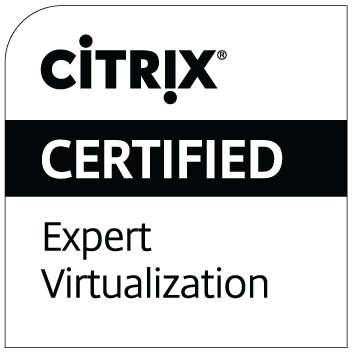 Citrix Provisioning Services is a UDP-based streaming technology designed to deliver an operating system (vDisk) to client devices over the network. PVS uses PXE protocol specs (UNDI) to boot a target device (PXE client) and deliver a bootfile program that contains the instructions necessary to login to a Provisioning Server and start streaming the virtual disk over the network. Imagine you have a data center with 100 XenApp servers. Using traditional methods of server management, you would need to login to each and every one of them to make changes such as application updates, Windows patches, and lots of different things or maybe use GPOs to enforce certain modifications, etc. With Citrix Provisioning Server (PVS) you can use a designated machine as a golden image, create a virtual disk from its hard drive, and assign it to hundreds or even thousands of servers for OS delivery. Since a vDisk has 2 modes – read/write and read-only, you can modify the image in read/write (Private mode) from one device and then stream to all your devices in read-only (Standard mode). That way all the changes made in Private mode update the VHD and can then be streamed to the rest of your devices in Standard mode propagating the changes you made instantaneously! PVS is fully enterprise-ready. Not only you have the option of adding existing machines to Device Collections in the PVS Console but in a virtual environment you can spin them yourself! XenDesktop Setup Wizard and Streamed VM Setup Wizard are at your disposal to quickly create new VMs on the fly when you need them. Could you please recommend what would be the maximum size of a OS disk (PVS vDisk) ? This question comes from a back ground that, I have client who has 45 GB of physical desktop image that I need to bring in as a PVS vDisk. If you could help me with a recommendation or a link where in it mentions the sizing. My apologies for seeing this comment so late. In case you still need help – there is no maximum vDisk size that I am aware of. If you are trying to replicate/convert a 45 GB physical image to a VHD, you can safely do so. Sizing really depends on the Operating System and the application requirements. The current supported minimums by Microsoft are 20 GB for Win7/8 and 32 GB for Windows 2012 (where 40 GB is the minimum RECOMMENDED size for Server OS). Of course, the higher you go, the slower certain operations such as vDisk copying, replication, etc. will be. I recently deployed a 50 GB VHD image to a customer with P2PVS/XenConvert without any problems. I hope this helps! Hi PVS guy, I`m new to PVS. I`m just trying to install today. Quick question: After the installation, when you configure, DB par. In that part, do we create PVS database on PVS server or do we connect to XenApp Farm`s DB server? PVS uses a separate dedicated database that is totally different from your XenApp database. In a Proof-of-Concept environment, you can install SQL Express and in the PVS Config Wizard point the database to be installed on that server locally. If you are planning to use this environment in production, definitely don’t use SQL Express and install the database on your production/enterprise SQL server. I hope that helps!